Getting a good night’s sleep depends on a lot of different factors, but having the right mattress is the first building block to a restful slumber. Buying a new mattress can be a daunting task, especially with so many options available at different price points. Here’s your step-by-step guide to finding the right mattress for you. First things first: Do you need a new mattress? Most mattresses are built to last 8 to 10 years, so if your mattress is over 10 years old, then it’s probably time for a new one. Also, pay attention to how you feel in the morning. Do you feel achy when you wake up? Do you not feel well-rested even after a full night of sleep? Most of us blame these symptoms on simply getting older, but it may be your old mattress that’s to blame. Just like with any other large purchase, you’ll need to determine your budget. A budget of $1,000 is ideal for a queen-sized bed. That price point will give you plenty of quality options. You may want to increase your budget to $1,500 if shopping for a king-sized bed. If you’re getting a smaller mattress, then plan on a budget of $700. Just don’t choose any mattress under $500. Anyone who spends less than $500 will most likely get a low-quality, uncomfortable mattress. However, don’t think the most expensive mattress is necessarily the best. Department stores are notorious for overcharging on mattresses. As with any large purchase, it makes sense to shop around. There are several types of mattresses available, each with their own pros and cons. Here’s a run-down on the most common types. 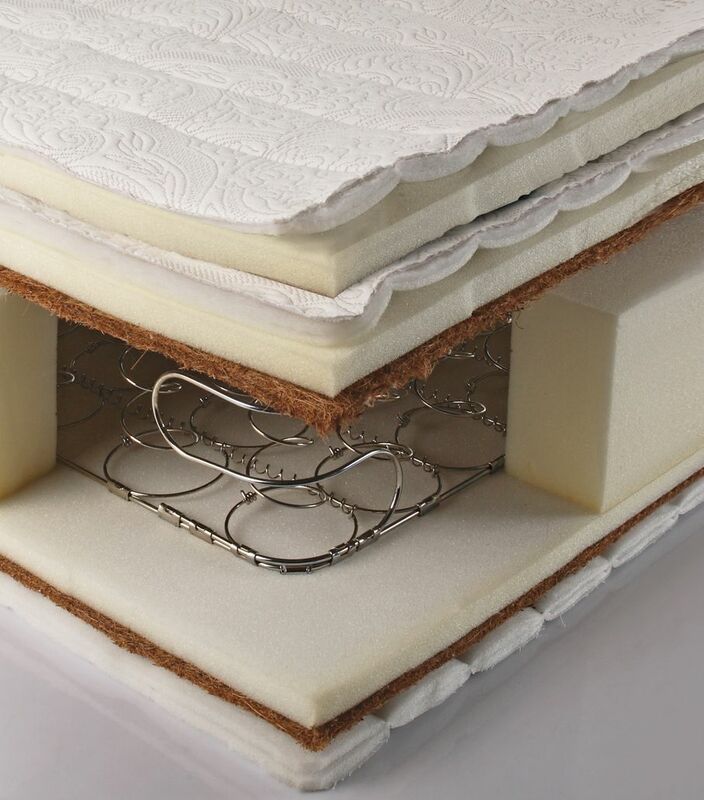 Hybrid mattresses are constructed from any combination of latex, memory foam, coils, and other material to maximize certain benefits while minimizing drawbacks. For example, a latex/memory foam hybrid delivers great bounce, cooling, and responsiveness, but also provides great pressure relief and support. This option is a good choice for the majority of sleepers. Latex mattresses are built entirely from latex and are known for great responsiveness, comfort, bounce, and cooling. They're best for people who want these attributes but don’t want a mattress that hugs or contours to their body. Obviously those with latex allergies should avoid these mattresses. Memory foam mattresses are revered for their great support, pressure relief, and body-contouring qualities. They do have a reputation of keeping sleepers too warm for comfort, so those who prefer to sleep cooler should avoid memory foam. Coils, or innerspring mattresses are one of the most popular types of mattresses. These mattresses have one or more layers of spring coils, usually made of steel, that provide great support and comfort. They're ideal for sleepers who want a more traditional mattress with great bounce, cooling, and strong support. Most people don’t consider their typical sleep position when shopping for a mattress, but they should. Your sleep position is your best indicator of how firm (how hard or soft) your mattress should be. Stomach Sleepers: The stomach sleeper’s top priority needs to be finding a mattress that provides equal support across the body. If the mattress is too soft, the sleeper’s torso could sink into the mattress, causing curvature of the spine and a backache in the morning. On a range of 1 to 10, where 10 is the most firm mattress, stomach sleepers should look for something in the 5 to 7 range. Side Sleepers: A mattress that’s too firm won’t contour to the shape of the side sleeper, resulting in a lack of support that usually leads to lower back, neck, and shoulder pain. Side sleepers need a mattress in the 3 to 5 firmness range. Back Sleepers: Firmness and support are both critical for back sleepers. A mattress that’s too soft will cause spinal misalignment, which could lead to prolonged back problems. The ideal mattress firmness is one that provides enough softness to eliminate pressure points, but still has great support. Usually a firmness level in the 6 to 8 range is appropriate for back sleepers. Now that you’ve got an idea of what you’re looking for, it’s time to shop for your mattress. Be sure to spend some time at the store. Lay on the mattress for at least 10 minutes to really get a feel for it. And bring your own pillow. You may feel a little silly, but you’ll probably be sleeping on this mattress for at least 8 years. Anything you can do to replicate your real-life sleep scenario will help you make the best choice. 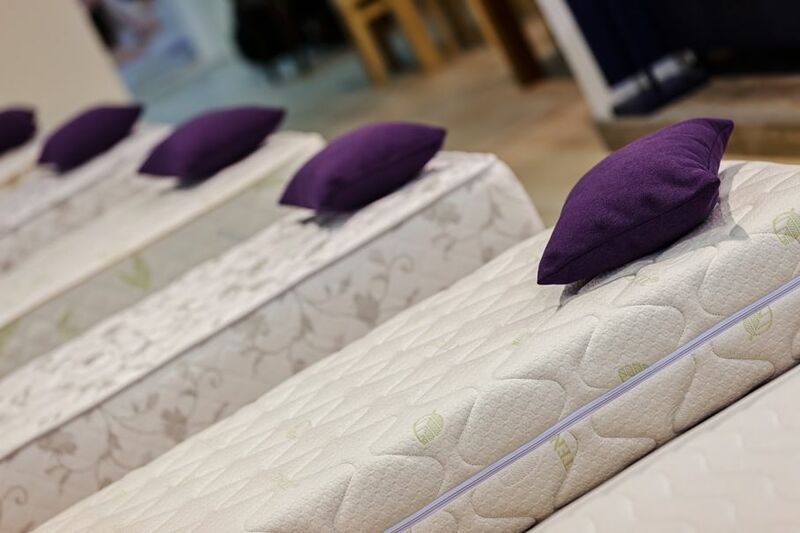 When it’s time for you to get a new mattress, use these tips to help you find the right one. Remember, to feel your best, you need to get enough rest, no matter what type of mattress you're sleeping on.